Despite what the pundits have been telling us for a week or so — and all the yipping that went on last night — the vice president (not this one particularly) really isn’t worth that much. His (or her?) job is to wake up every morning and ask the important question: “How’s the president feeling, today?” After that, he can have a leisurely breakfast, read the paper, work in the garden or play on the Internet, if he likes. Of course, if some second tier somebody dies somewhere in the world, he has to show up and look sad, or if some not-so-notable notable comes to Washington, he has to show up and look happy. To paraphrase Dorothy Parker: “His emotional range must run the gamut from A to B.” However, for the most part, the vice president’s time is his own. Yet, even though the office is totally useless on a daily basis, it does serve an essential purpose: the vice president must be ready and able to run the country if the president can’t. It’s kinda like the first runner up in a beauty contest. Actually, originally, that’s the way it worked. The vice president was the guy who lost the election. Obviously, this wasn’t an ideal arrangement, even back in the day. For example, John Adams’ vice president was Thomas Jefferson. I’d have loved to have been a fly on the wall when those two started tearing into the nation’s business. After all, about the only thing they ever agreed on was when to die. To put this into perspective, in this century, George Dubya’s vice presidents would have been Al Gore and John Kerry; Barack Obama would have been stuck with John McCain. Just let that sink in for a moment. 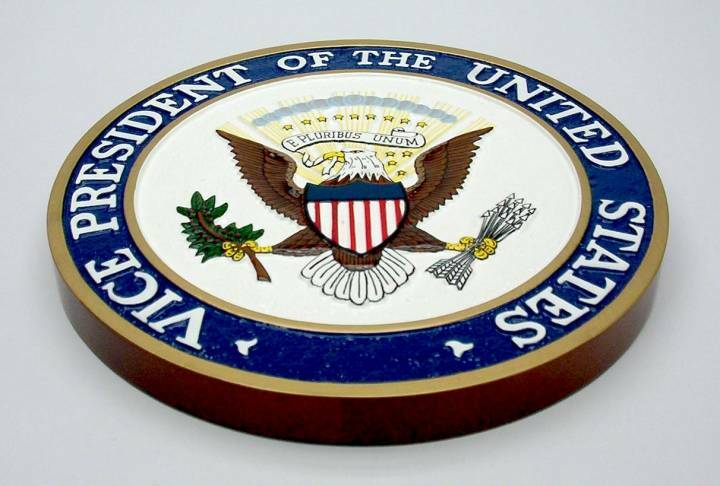 Oddly enough, the vice presidency is not an automatic ticket to 1600 Pennsylvania Avenue1. Actually, it’s almost a political dead end. Of the forty-seven vice presidents so far, only fourteen have ever gone on to become president. Eight of them took office when their bosses suddenly died; one, Gerry Ford, became president when Richard Nixon resigned and only five have ever been elected independently (and one of those, Richard Nixon, had to run twice.) In fact, most politicos regard the office with some disdain. 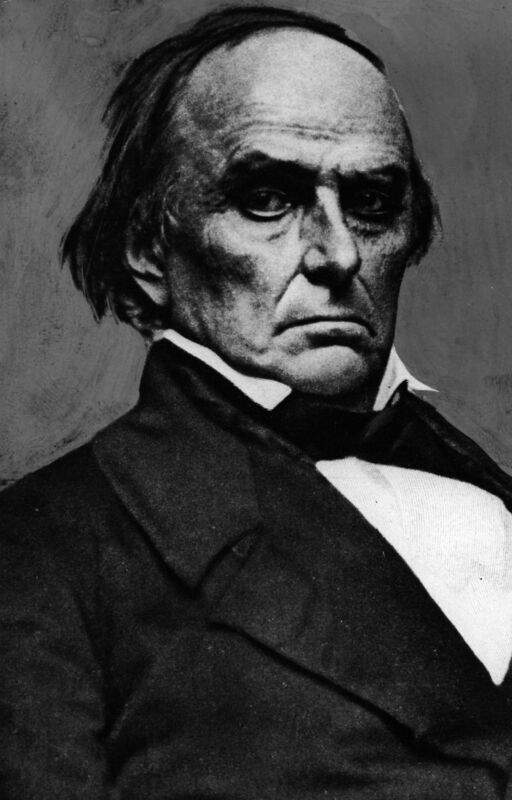 Daniel Webster, who was offered the vice presidency by two separate administrations,2 replied the first time by saying “I do not propose to be buried until I am really dead and in my coffin.” Likewise, John Nance Garner, who was, for a time, Franklin Roosevelt’s vice president, described the office as “not worth a bucket of warm piss.” Not much has changed since Garner’s time. For many years, both parties either let the backroom boys choose their vice presidential candidate or threw it open to the convention floor. Either way, there have been some spirited campaigns for this worthless office – John Kennedy in 1956, for example. However, in 1976, Ronald Reagan ran into political trouble and needed a boost to try and unseat Gerry Ford during the primaries, so he named his running mate, Richard Schweiker, early. It didn’t help: Ford won the nomination. However, this has become the norm. Now, all the campaigning for second banana is done in the backrooms, long before the delegates ever meet. Also, for many years, being selected as a vice presidential candidate was sort of a consolation prize for not getting the Big Kahuna. However, these days, vice presidents usually bring balance to the ticket, either geographically, politically or — twice — (Geraldine Ferraro and Sarah Palin) by gender. Of course, there are some cynics who maintain that the vice president is chosen simply as assassination insurance. Regardless, most vice presidents have done their jobs uneventfully and vanished into history. 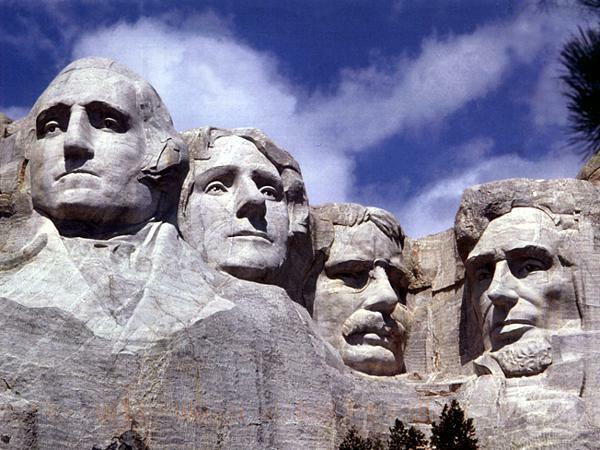 And the nine who were called upon to fulfill their primary function have served adequately, if not spectacularly, with one notable exception: Theodore Roosevelt, who was so good at it, they put him on Mount Rushmore with Washington, Jefferson and Lincoln. 1BTW, some people think the vice president lives and works in the White House – he doesn’t. Actually, up until the 1970s, the vice president had to find his own accommodations in Washington. And it wasn’t until Jimmy Carter made some space for Walter Mondale that the VP even had a formal office in the West Wing. 2From the Pretty Darn Strange Department: If Webster had shut up and taken the job — either time — he would have ended up as president. Both men who invited him to be their Veep died in office. This entry was posted on October 12, 2012 by wdfyfe in History and tagged American Election, Election 2012, History, Politics, vice president, White House.